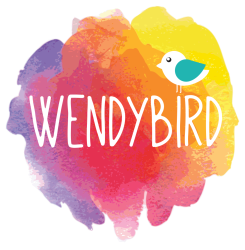 Wendybird is a not-for-profit community group led by a collective of Lesbian, Gay, Bisexual, Transgender, Intersex and Queer (LGBTIQ) people who are working together to intentionally grow a safer and always supportive community for people of diverse bodies, genders, relationships and sexualities, their friends, families and children to find meaningful connections. Wendybird is creating safe and supportive spaces that provide opportunities for the diversity of the whole community to connect with others with a shared experience, to find a sense of belonging with others who accept and welcome them and to form a community where the diversity of each individual is celebrated. Wendybird is based in Brisbane, Queensland. In keeping with Wendybird's commitment to reconciliation and respect we acknowledge the land where we meet and recognise that it continues to be sacred to the Jagara tribal nation, south of the Brisbane River and the Turrbal tribal nation, north of the Brisbane River, and other tribal groups all whose land adjoins us here. We pay our respect to Elders past and present and to emerging community leaders.